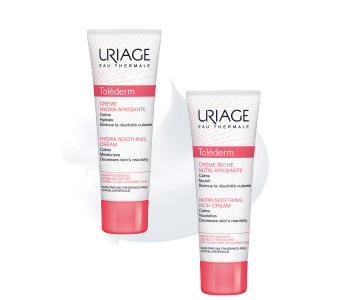 Prevent skin irritability with the Uriage Tolederm skincare range, a high tolerance collection of gentle products that are formulated with maximum effectiveness. Created to meet the needs of skin that is easily irritated, the Tolederm range contains minimal active ingredients to decrease your reactivity when cleansing and moisturising. Whether your skin is very dry or quick to redness, each solution in the Tolederm collection calms, soothes and cares for areas that are prone to even the most extreme sensitivity.